Business owners and executives looking for work shirts with their logo on them sho at CorporateShirts Direct. Men’s and women’s polo and dress shirts can be customized with your company logo to offer your employees a great alternative to maintaining that professional look while enjoying a more comfortable option. Visit corporateshirtsdirect.com to see about free logo setup. CorporateShirts Direct sells high quality custom logo shirts your employees are going to love. They’re the perfect way to show your appreciation to your employees and your clients. Faithful logo reproduction and comfortable cotton and cotton blends make this a popular choice among corporations. Call 888-341 LOGO if you have questions or wish to place an order. You’ll find the best online prices on company logo Shirts when you shop at CorporateShirts Direct. All prices include your embroidered logo. Your employees will surely appreciate the professional and comfortable look and feel of a corporate logo short. Maintain your professional look without compromising in your customers’ eyes. For more information call 888-341-LOGO. CorporateShirts Direct has the customized polo shirts companies are looking for to provide their employees with a comfortable and professional look. Business casual is a great way to maintain your company look while showing your employees that you care about their comfort. Get great prices on corporate shirts when you go online to CorporateShirtDirect.com. Get the high quality corporate logo shirts your company is looking for at great prices from CorporateShirts Direct. When the traditional corporate look is not required, but employees are called to dress for functionality and comfort, logo shirts can offer the professionalism your company wants. For more information, visit CorporateShirtsDirect.com. 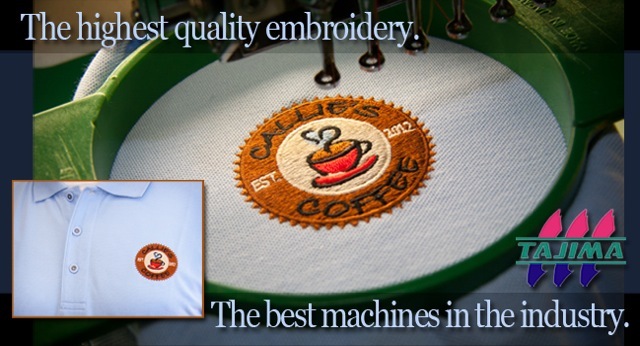 Are you in search of a direct source for corporate shirts with your logo embroidered? Look no further! Corporate Shirts Direct is your one-stop shop for customized polo shirts, shirts with logo, and polo shirts embroidered to your specifications. When you shop with us, we simplify the process of ordering the custom polo shirts you need for your company. 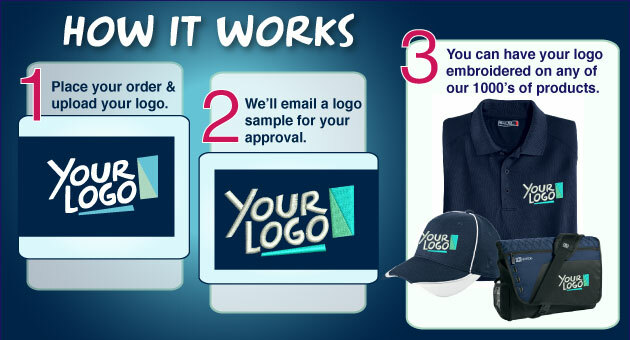 In just 3 Steps, your customized polo shirts will be on their way to you! It really is that simple! When you shop with us, you’ll be met with the highest level of service, top quality products, and unbeatable prices. When you’re ready to get started, we make ordering easy! Select Your Items & Upload Your Company Logo. Receive an Email with a Sample of the Finished Product. Once the Sample is Approved, Your Items Will be Embroidered & Shipped. 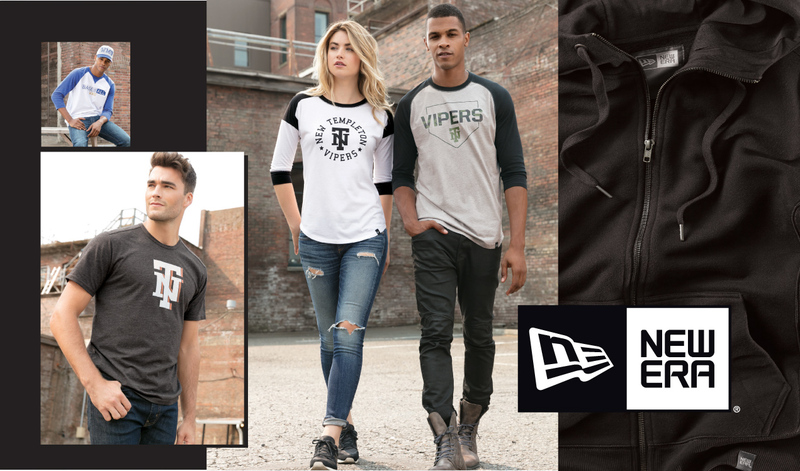 Whether shopping for your office or a corporate function or trade show, we offer convenient ordering, fast shipping, and an incredible assortment of apparel. Our catalog includes customized polo shirts, shirts with logo, and many other custom polos or dress shirts in dozens of colors. Choose from colors like Ash, Black, Navy, Tangerine, Cardinal Red, Gold, Sport Grey, White, Maroon, Purple, Light Blue, Mango, Butter, Pine, Bright Red, and many more. It’s never been so easy to select your company colors, logo, and a style you love. With our great prices & quality apparel, your entire office should be sporting one of our custom polo shirts with your company logo. When you want everyone to have a coordinated look, browse our assortment of dress shirts and custom polos shirts for men and women. These options allow you to order styles for men and women that work well together. Ideal for teams, offices, trade shows and more—we have dozens of styles and colors to choose from. Our customized polo shirts allow you to create a casual look for everyone in the office. For a more formal style, we carry an array of men’s and women’s dress shirts—both long-sleeved and short-sleeved—that will make it easy to select the coordinated look that is perfect for your business needs. Our full product assortment awaits you—start shopping today! When you shop with Corporate Shirts Direct, you’ll enjoy the best assortment of quality dress shirts and polo shirts embroidered with your company logo. We pride ourselves on providing a quick turnaround & fast shipping so you have your items sooner & by your due date. With the convenience of online ordering and the ability to customize polo shirts in minutes—we make it easy to order the corporate shirts you need, when you need them. 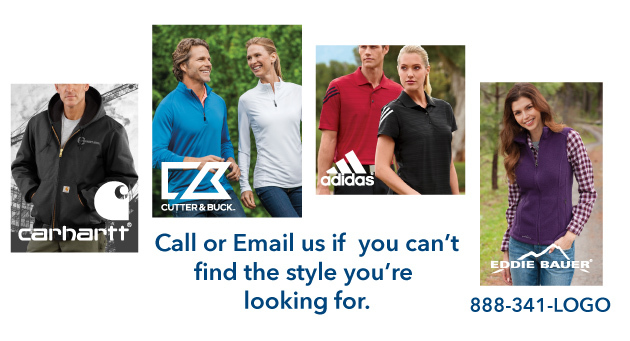 If you have questions about our products or services, please feel free to contact us at 888-341-LOGO (5646) or Sales@CorporateShirtsDirect.com.